ROSA Research Team at SAHMRI (Left to Right): Dr Jyoti Khadka, Dr Tiffany Gill, Dr Stephanie Harrison, Ms Catherine Lang, Dr Sarah Bray, A/Prof Maria Inacio, and Dr Azmeraw Amare. The ROSA Research Team is based at the South Australian Health and Medical Research Institute (SAHMRI). A/Prof Inacio is an epidemiologist with research interests in the areas of population health surveillance systems and utilisation of existing data and informatics to enhance these systems. Currently A/Prof Inacio’s work focuses on the surveillance of people accessing aged care services in Australia and their subsequent health care utilisation. This work has the goal of identifying good models of care, areas in need of improvement, factors leading to high health care utilisation, and opportunities to decrease unnecessary utilisation. Maria is currently leading the development of the Registry of Older South Australians (ROSA) at SAHMRI, which will be the platform for efficient monitoring of Australians in aged care settings. In this role she is leading projects evaluating the epidemiology of aged care service utilisation in Australia from 1997 to the present and identifying differences in state utilisation of various aged care and health care services. Click HERE to learn more about Maria Inacio. Dr Bray has a wide interest in science, health and fitness and is also passionate about science engagement with the wider community. She has worked on a diverse range of projects over her career so far, from medical research projects in cancer biology (leukaemia and rare blood disorders) and tropical infectious disease research for a biotech company, to her PhD project wrangling ancient DNA from extinct bears! Sarah’s background and experience in working in such a diverse range of research areas as a scientist and research admin/manager has given her the ability to understand and interpret complex scientific and medical information, and to communicate the research in meaningful ways to different audiences. In her current role at SAHMRI, she is helping to establish & develop the framework of the Registry of Older South Australians, including facilitating consumer & community involvement in ROSA and coordination of consumer engagement activities. Click HERE to learn more about Sarah. Catherine is currently working at SAHMRI as an analytical programmer for the Registry of Older South Australians (ROSA). In this role she prepares the datasets for researchers, creates tables and figures for reports and performs ad-hoc data analysis. Her work mostly involves coding in SAS with some SQL and R. The datasets Catherine works with are quite large and include the MBS and PBS and Aged Care records. At the moment she is also learning about Network Analysis to aid in visualising this data. Before coming to SAHMRI, Catherine worked for the Australian Bureau of Statistics, in Methodology Division and in Construction Statistics. Catherine has an honours degree in Physics from the University of Adelaide where she also worked briefly as a research assistant at the Institute for Photonics and Advanced Sensing (IPAS). Click HERE to learn more about Catherine. Dr Khadka is a research fellow in the Registry of Older South Australians (ROSA), South Australian Health and Medical Research Institute (SAHMRI). Jyoti originally trained as an optometrist. He was awarded a PhD at Cardiff University in the UK, followed by a Post-doctoral fellowship at Flinders University in Australia. Jyoti’s main areas of research interests and expertise are in patient-reported outcomes and the application of modern psychometric methods to develop, validate and implement quality of life assessment instruments. Click HERE and HERE to learn more about Jyoti. Dr Harrison has a public health and epidemiology background with a focus on research in the ageing population specifically around cognitive decline and dementia. Recently she has been working on the Investigating Services Provided In the Residential Care Environment for Dementia (INSPIRED) study as part of the NHMRC funded Cognitive Decline Partnership Centre at Flinders University. 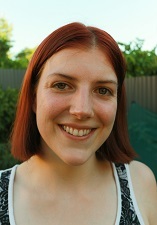 Stephanie is a research fellow working on the Registry of Older South Australians (ROSA) at SAHMRI. Click HERE to learn more about Stephanie. Azmeraw T. Amare is a Clinical Epidemiologist and data scientist with a research interest in healthy ageing, personalised medicine, and global public health. Currently, he is working at the South Australian Health and Medical Research Institute (SAHMRI) as a data analyst for the Healthy Ageing Research Consortium & Registry of Older South Australians (ROSA) projects. Click HERE to learn more about Azmeraw. Dr Tiffany Gill is an Senior Research Fellow in the Adelaide Medical School at the University of Adelaide and a Postdoctoral Researcher for the Registry of Older South Australians at SAHMRI. Between 2011 and 2015 she was an NHMRC Early Career Fellow focusing on epidemiological issues and health system impacts (including costs) of musculoskeletal (MSK) conditions (particularly osteoarthritis (OA), osteoporosis and rheumatoid arthritis (RA)) within Australia. She originally trained as a physiotherapist and then developed a research interest focusing on the epidemiology of musculoskeletal conditions. Tiffany is passionate about addressing the impact of musculoskeletal conditions on the population and the translation of research findings to the population. She has been a long term member of the Board of Arthritis SA and Vice President since 2012. She has also mentored undergraduate and post-graduate students and early career researchers. Tiffany's research continues to aim to increase population awareness and the focus of policy makers on the epidemiological, health economics and population effects of musculoskeletal disorders in the population. Click HERE to learn more about Tiffany. Janet is a registered pharmacist with recent clinical experience in the acute care setting. Her research interests include quality use of medicines, pharmacoepidemiology, quality improvement, cognitive decline and aged care. Janet was awarded her PhD in 2014. Her PhD research focused on the use of big data to monitor quality of care for people with transient ischaemic attack or stroke. Following her PhD, Janet undertook postdoctoral research at the Quality Use of Medicines and Pharmacy Research Centre, University of South Australia. In 2015, she received an Endeavour Research Fellowship to undertake pharmacoepidemiological research using the Kaiser Permanente National Implant Registries in San Diego, California. More recently based at Monash University as a Research Fellow at the Centre for Medicine Use and Safety, Janet contributes to the NHMRC Cognitive Decline Partnership Centre project to optimise quality use of medicines for people with cognitive and related functional decline. Janet will be joining the Registry of Older South Australians (ROSA) Research Team in early 2019. Max is a Senior Data Scientist for the Registry of Older South Australians (ROSA), focusing on the analysis of large complex empirical datasets. The key objective behind these analyses is to extract functional information enabling targeted as well as system-wide interventions in order to improve quality of life for people who are close to entering, or have already entered, the Australian age care system. Click HERE to learn more about Max.